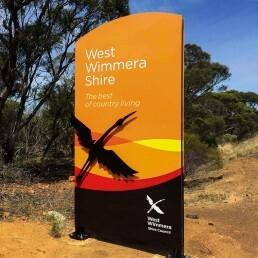 West Wimmera Shire Council required a brand refresh and a range of boundary and township signage. 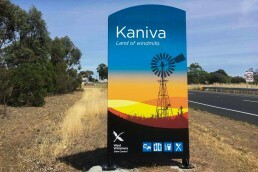 To provide a fresh, clean and consistent feel the brolga motif was simplified, the typography updated and a limited colour palette was adopted for the logo and signage hierarchy. 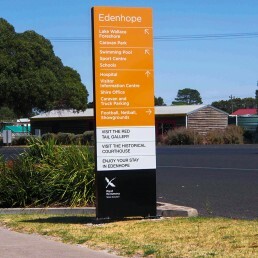 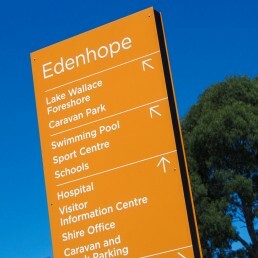 Illustrations were also developed for the Edenhope and Kaniva arrival signs, to help promote these key townships.